I have a special place in my heart for Silicon Graphics. 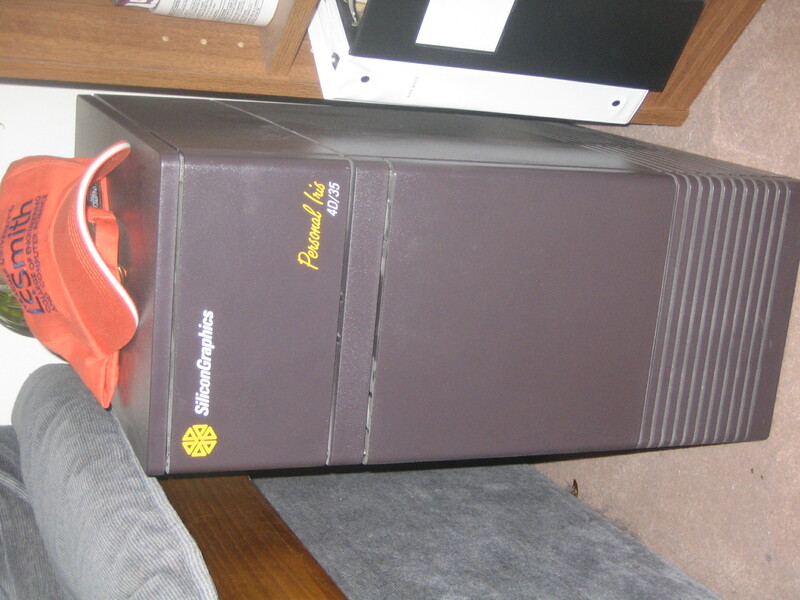 Gridgen was originally developed for a VAX but shortly thereafter it was the first program ported to the first SGI workstation (a model 2400) purchased at General Dynamics Fort Worth Division. For years after that, Gridgen ran only on SGIs. SGI boxes are how I learned Unix – by reading the hardcopy man pages while Gridgen’s volume mesher ran in the background. I took an IRIX course from a guy whose SGI employee number was in the 30s. Our first production SGI back at GD was a 2500 Turbo named Falcon, a tall beast with two massive disk drives in its base. Someone in the CFD group would dry his socks by draping them over the exhaust vents after a long walk in from the parking lot on rainy mornings. Over the years we continued to use many different models of SGIs including the 3000 and 4D series including a 4D/80 named Liberace. But as well all know, SGI began to lose their dominance as the CFD desktop of choice. While we still support Gridgen on SGI’s IRIX, we dropped support for it for our Pointwise product because it became virtually impossible to get the 3rd party tools we needed to develop and maintain a product on IRIX. Plus, it’s getting harder and harder to keep them running – parts and maintenance are hard to come by. We literally have several SGI Fuels stacked like cordwood in our data center. But that’s not the point of this post. Over the years as we’ve taken various SGI boxes out of service I found it hard to let them go. Davis-Monthan AFB is the Air Force’s boneyard where old aircraft go for storage – my office has turned into an SGI boneyard. The oldest machine in my collection is a Personal Iris, a 4D/35-TG named Zebra. Back in the day this box went for a cool $30,000 and I remember the day we drove the SGI’s office in Addison, Texas to pick it up. Gridgen was developed on this from about 1992 to 1997. 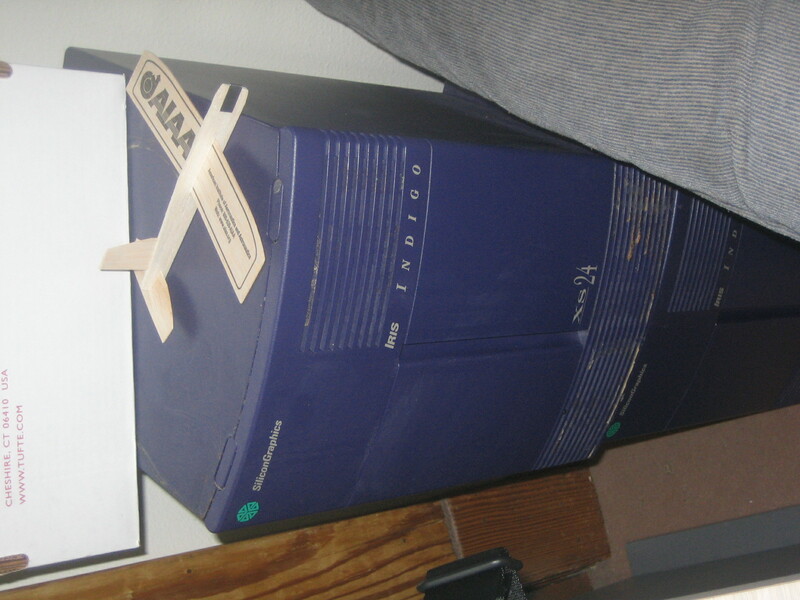 In the mid 1990s we outfitted our training room with several SGI Indigos. The were delivered by an 18-wheel tractor trailer straight into my garage. Seemed like overkill for some relatively small boxes. I think these two were named Golf and Hotel. 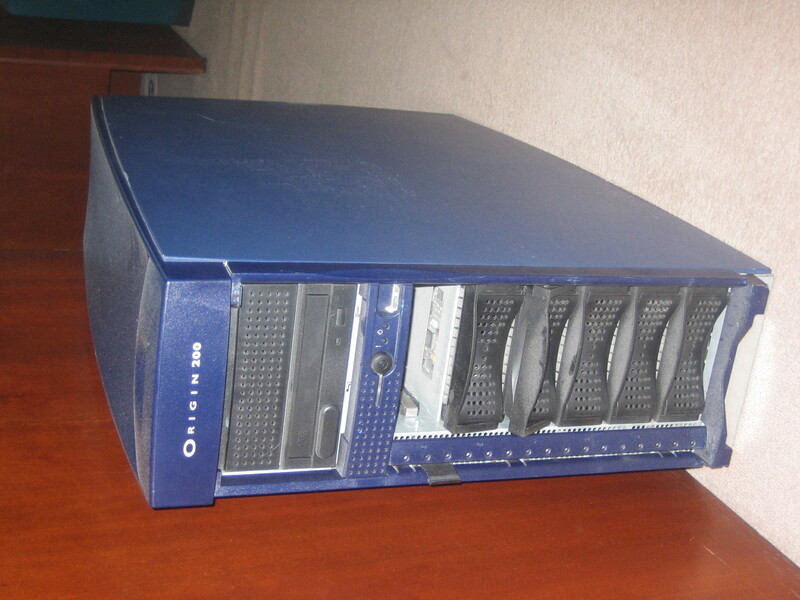 We added some serious storage capacity when we got this SGI Origin 200 server (named Tango) in the late 1990s. You can see that along the way we cannibalized one of its disk drives for use elsewhere. 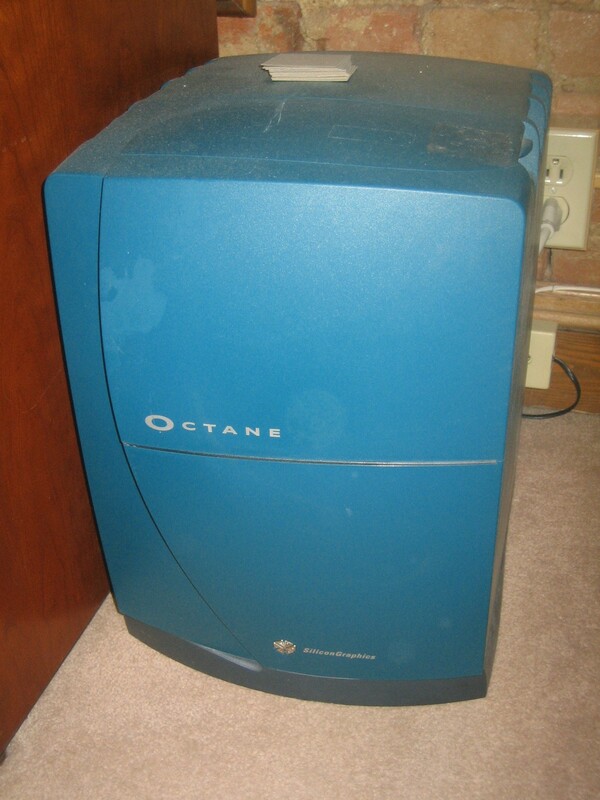 The SGI Octane (this one was named Victor) was a sweet workstation but I had one problem with it. The top of the box wasn’t flat – it had a crown. You’d think this wouldn’t be a big deal but the box also couldn’t accommodate a CD drive so you had to get an external unit. If you stacked the external CD drive on top of your Octane it would wobble around. Here’s one of our SGI Fuel’s that was saved from the pile in our data center. We had so many of these I can’t recall its name. 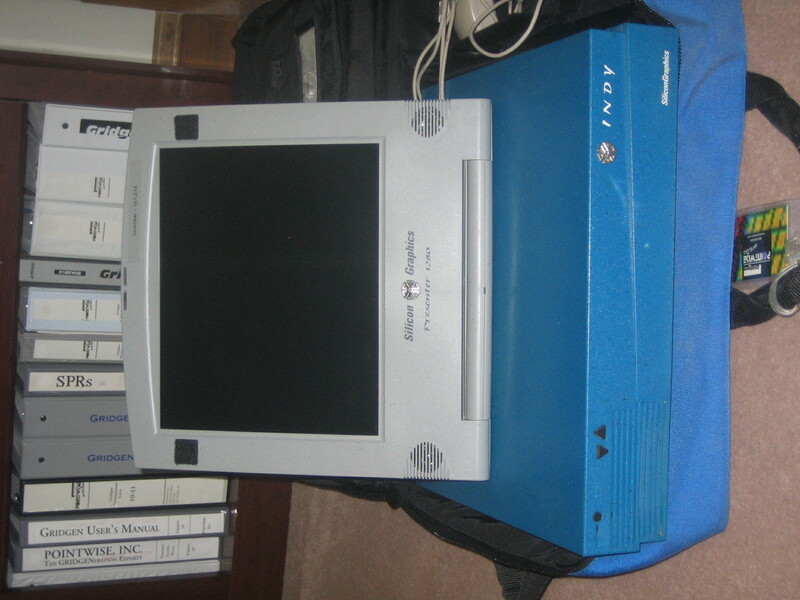 This is perhaps the crown jewel of my collection: an SGI Indy with the Presenter LCD display named November. Underneath it you can probably see its Indy Bag. This was considered portable back in the day and people would get out of the way when we carried that onto the airplane and heaved it into the overhead compartment. If you recall, you could take the back off the monitor, slap it on an overhead projector and then project a live demo onto the wall. You had to be careful to ensure that the Presenter didn’t get too hot sitting on the overhead projector or it would literally brown-out. This happened to us only once. Our hearts started beating again when the Presenter showed no permanent damage. This machine was retired in working order; I should try to boot it someday. I also have my eye on an SGI O2 (“Yankee”) which is still in production use. Someday I can add that little toaster to my collection. We also used to have some Indigo 2’s but I’m not sure what happened to them. 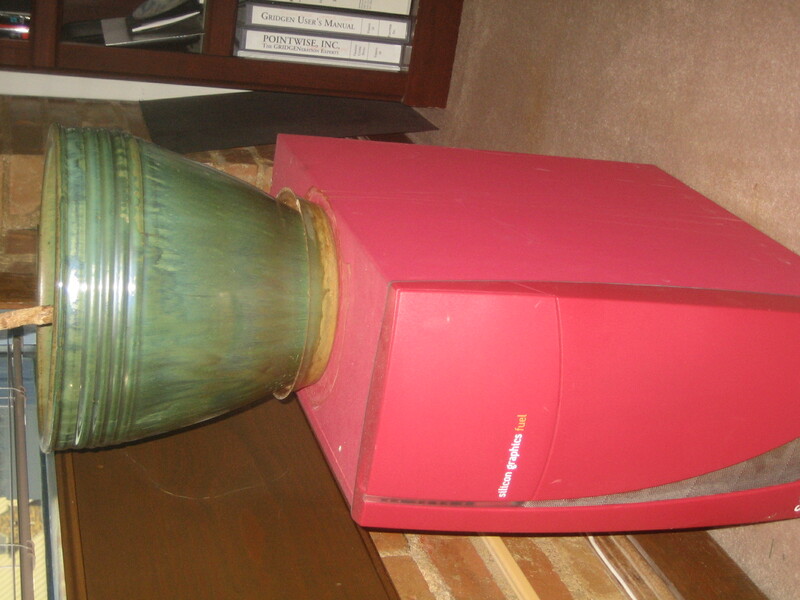 A great regret is letting an SGI Model 1400 slip away. You might think that serving as a plant stand is a fate worse than death for computers that, in their day, were the Hollywood stars of engineering computing. I figure it’s better than being ground into little bits and picked over for whatever can be recycled. If I ever get really motivated, I’ll post photos of all the SGI schwag I’ve collected over the years (from pens and frisbees to an ascot – yes, an ascot) or my back issues of Universe or Pipeline. Yes, I know – you’re on the edge of your seat. You can find SGI on the web at www.sgi.com. Another resource for vintage SGI hardware is This Old SGI. And if you’re wanting a CFD mesh generator that runs on SGI, check out Gridgen. This entry was posted in Hardware, Off Topic and tagged CFD, mesh generation, sgi, silicon graphics, workstations. Bookmark the permalink. man, you just brought some nice SGI/Irix memories to me. I used Octanes and O2 when I was an undergrand for some FEA with Nastran/Patran. Those were some nice machines. Cesar: In addition to performing great, especially the graphics, SGI machines certainly had the “wow” factor. In that regard, they were like Apple is today. indeed, those SGI machines had that “wwooww” factor. now, there are windows boxes, linux boxes and macs, all of them have a great performance, but nothing compares to a good old SGI box. When I watched Jurassic Park, I said “I know UNIX, too”. Don’t forget the SGI “laptop” in Twister.